SAN FRANCISCO — Feb 8, 2017 — Salesforce (NYSE: CRM), the global leader in CRM, plans to invest $2 billion over the next five years to fuel the growth of its Canadian business, the company announced ahead of a meeting with Prime Minister Trudeau today. 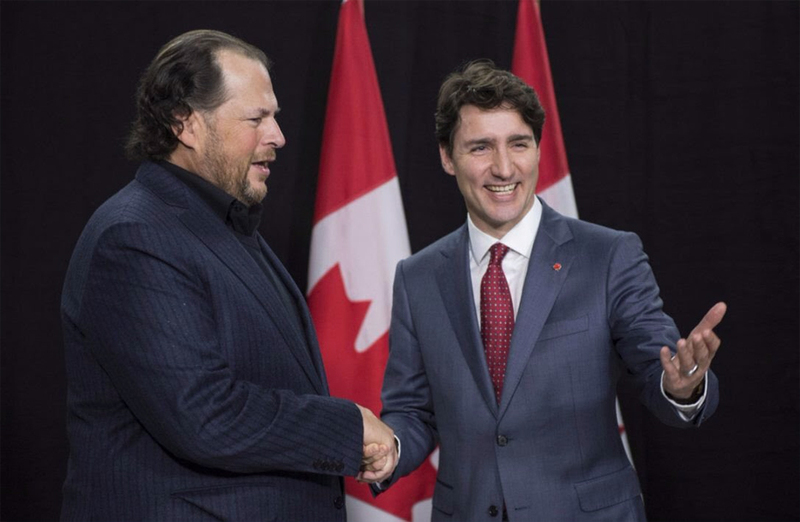 Prime Minister Trudeau will visit Salesforce for a roundtable with Salesforce Chairman and CEO Marc Benioff and other business leaders on the importance of diversity and equality, following conversations at the World Economic Forum in Davos, Switzerland last month. As part of this investment, Salesforce plans to increase its headcount, real estate footprint and data center capacity to support its rapidly-growing customer base in the country. 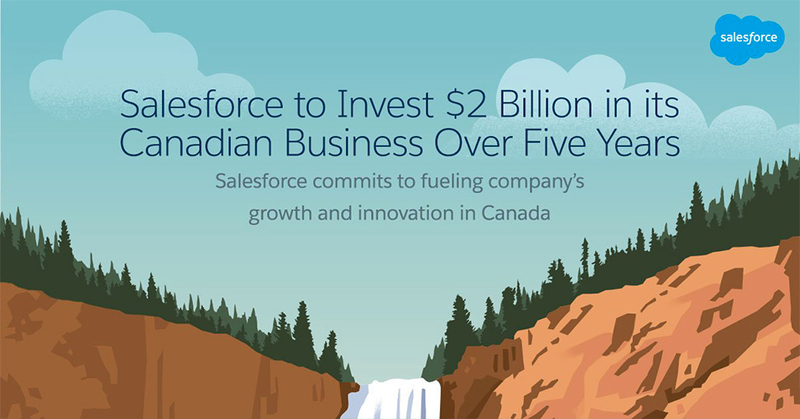 "Canada is one of the most exciting investment opportunities for Salesforce and we are thrilled to commit $2B over the next five years to fuel future growth," said Marc Benioff, Chairman and CEO, Salesforce. "As the world's fastest growing top 5 software company, we look forward to a great partnership and to expanding our employees, customers and innovation in Canada." Salesforce is the #1 CRM provider in Canada, with more than 1,300 local employees. The company is also the fastest growing among the three largest enterprise software vendors in the region according to Gartner Inc.’s latest worldwide All Software Markets market share report, based on 2016 total software revenue. More than 6,000 Canadian companies—including Air Canada, Husky Energy, Loblaws, Manulife, Roots, TD Bank and TELUS —are using Salesforce to connect with their customers in new ways across sales, service, marketing, commerce and more. 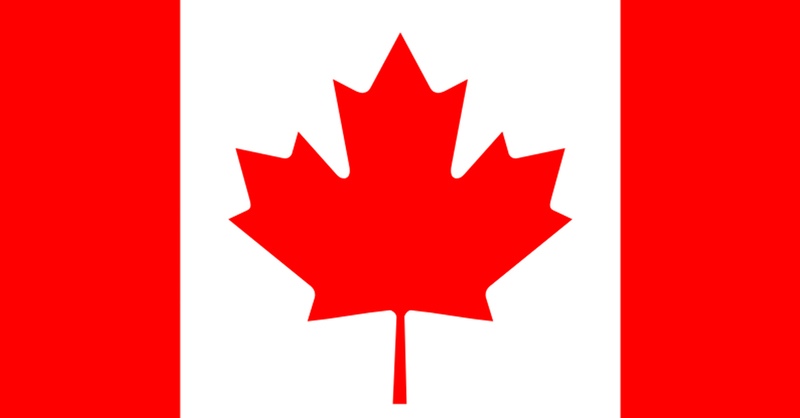 Salesforce and its ecosystem of customers and partners in Canada will create more than 28,000 new direct jobs and $17 billion USD in new business revenue in Canada by 2022, according to research by IDC. Additionally, Canadians have earned more than 87,000 badges on Trailhead—Salesforce’s free, gamified online learning platform—acquiring the skills needed to succeed in today’s technology-driven economy and be a part of Salesforce’s flourishing ecosystem. Salesforce employees in Canada are also committing to volunteer 45,000 hours in their local communities in 2018. Employees volunteered more than 36,000 hours in 2017 with local nonprofits. Salesforce.org has donated more than $1 million to local communities, and more than 800 Canadian nonprofits—including Canadian National Institute for the Blind, Heart and Stroke Foundation of Ontario, MS Society of Canada, Furniture Bank and Npower Canada — use Salesforce for free or at a discount.